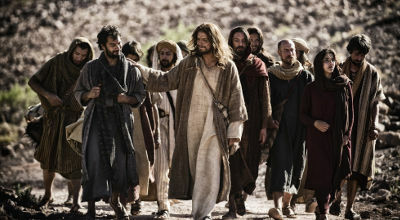 Mark Burnett and Roma Downey's novelization of The Bible TV miniseries, The Bible: A Story of God and All of Us, has become a national best-seller. Released Feb. 26, the novel debuted at No. 6 on the Publishers Weekly Hardcover Fiction list for the week of March 3 and No. 27 on the New York Times Hardcover Fiction list for the week of March 24. It also debuted at No. 3 on the Fiction best-sellers and at No. 18 on the General best-sellers from the Evangelical Christian Publishers Association, tracking sales for the week ending March 2, according to Pubtrack Christian data. "We are incredibly humbled by the reaction to the series and the books," said Burnett, best known for producing the TV shows Survivor, The Voice and The Apprentice, and his actress wife, Roma Downey. "Working with this sacred text is a once-in-a-lifetime honor. Our hope is that the books will continue to inspire and encourage. First the series becomes No. 1 in television, now the book is on the New York Times best-seller list. God is moving." Rolf Zettersten, senior vice president and publisher of Hachette Nashville FaithWords' parent, added: "We are ecstatic that Roma's and Mark's track record of producing hits has followed them from television to publishing. Their books are every bit as magical and successful as their miniseries production." In addition, FaithWords has released another novel and a devotional based on the miniseries: A Story of God and All of Us: Young Readers Edition and A Story of God and All of Us Reflections: 100 Daily Inspirations Based on the Epic TV Miniseries, both by Burnett and Downey. Twentieth Century Fox will release The Bible on DVD and Blu-ray April 2. The Bible debuted March 3 on the History Channel. More than 14.8 million viewers watched the first episode of the 10-hour TV miniseries, the highest-rated cable show of the year. Burnett and Downey, of Touched by an Angel fame, produced the five-part miniseries of major Bible stories, from Noah's ark and the Exodus to the death and resurrection of Jesus, airing Sundays this month—culminating on Easter, March 31. Click here to read a column about The Bible miniseries by Downey and Burnett in the February issue of Christian Retailing.